It is no coincidence that they have decided to go with the name Hyper Casino. Yes, this brand new online casino makes its entry in a grand style. There is no doubt that L&L Europe takes time to understand the needs of players and create a platform that offers everything in one place. Just like the name, everything about Hyper Casino is fast and efficient. This also applies to the speed of withdrawal. I bet that you’d love to get your payments ASAP. Even more, Hyper Casino teams up with lots of slot providers to provide a massive selection of games. Hyper Casino also uses a simple HTML approach on its website to ensure that players enjoy a smooth gaming experience. This also applies to mobile users as Hyper Casino is fully optimised to suit mobile devices and tablets. When it comes to security, Irish players have nothing to worry about. Hyper Casino understands the need to provide a secure gaming environment. Hence, they use the same type of encryption that is obtainable in the industry to mask the website. That way, all the information provided during registration is kept safe. As well, credit card details are also secure. Indeed, with a dual license from two of the best regulators in the gambling industry, there is no doubt that Hyper Casino must have met the security requirements before being awarded the grant. The presence of a permit from the MGA and the UKGC is quite comforting. This means that players have nothing to worry about when it comes to fair gaming and transparency. This is the only aspect of Hyper Casino that is not ‘hyper’ enough. Certainly, if there is one area that we would like Hyper Casino to make improvements, it’s in the area of their welcome bonus and loyalty programs. Taking a look at the welcome bonus, Hyper Casio currently offers a total of €300 to every new player. 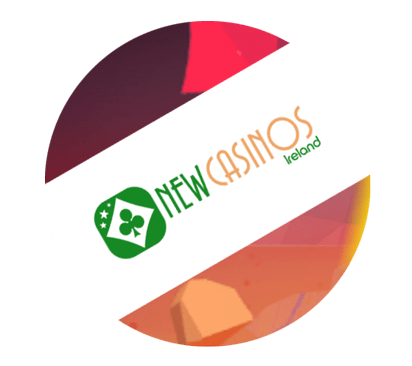 To receive your share of the welcome bonus, all you have to do is make a minimum deposit of €10, and you would receive a 100% bonus on your first deposit. However, you stand a chance to receive as much as €100 if only you would increase your deposit amount up to €100. Also, you can receive up to €200 when you make another second deposit. This time, the offer stands at 50% but the window s much higher ar €200. In the end, what’s more, important is the wagering requirement. While the welcome bonus may not be worth the stress of meeting a minimum playthrough requirement of 45 times, there are not many other options available on Hyper Casino. The only active promotion is the extra spins on selected slots. This is a weekly promotion wherein Hyper Casino selects one of your favourite slot machines and offers you 50 free spins to play the game chosen when you make a minimum deposit of €50. To get the extra spins, ensure that you use the promotion code WINBIG. Furthermore, Hyper Casino has stated that this promotion is not even available to everyone. Only players from Ireland, the UK; India; New Zealand; Germany; Finland etc. can enjoy the extra spins. As well, Hyper Casino offers a good selection in all the available categories of Slot machines; video Poker; Live Games; Scratch Cards and many more. Meanwhile, you can find Hyper’s favourite to include titles such as Book of Aztec; Arising Phoenix; Lord of the Ocean; Pharaoh’s Ring; Starburst; Mega Moolah; Gonzo’s Quest; Mega Fortune; Jungle Spirit; Book of the dead and many more. The financial team at this company is speedy. However, they also have to ensure that you are the one who authorised the payment request. This usually takes a few days except for VIP layers. Afterwards, the speed of the payment process also depends on the selected payment method. At present, the minimum deposit amount is €10 while the daily limit is €5000. Hyper Casino has a team of hyper customer service personnel that will get things done on your request. However, before you make the application, they have made a list of some possible questions. Hence, check it out before you contact the support team. Players can get in touch via email and live chat. The support team is available 24/7, and they are quite responsive. Hyper Casino is out to make your 2019 hyper fun. They know that you love quality games. Hence, they have supplied an extensive collection of both quantity and quality games in one place. Likewise, you can carry the fun with you everywhere as you enjoy Hyper Casino on your tablets and mobile phoned. New Casinos IE will keep tracking down new brands, stay tuned!